One of the many pluses about living in Madrid is the variety of international press available at hand in any kiosk on the street. If I want Traveler in English it´s there, Vogue in Italian, got it, or what could be the latest news about Cibeles Fashion Week Madrid 2012 in Elle España? Reigning from the UK is Tatler,a glossy Condé Nast Publications magazine that focuses mainly on fashion, but also on the adventurous and glamorous sides of the upper class. This month´s issue in the travel section includes an extremely attractive description that perfectly captures what The Yacht Week is all about. 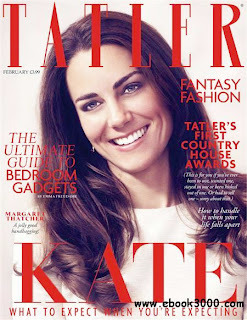 Get out and buy your Tatler today! As the brutal winter starts to slowly creep in, your only proximity to summer will be images and extraordinary descriptions about places that seem so close yet so far. Time to dive into The Yacht Week article that could soon take you away from your dreaming and, maybe, just convince you to make it a reality this summer.